... from Notre Dame. Here's a picture of God Quad's Jesus statue with a fresh coating of wet, heavy snow. 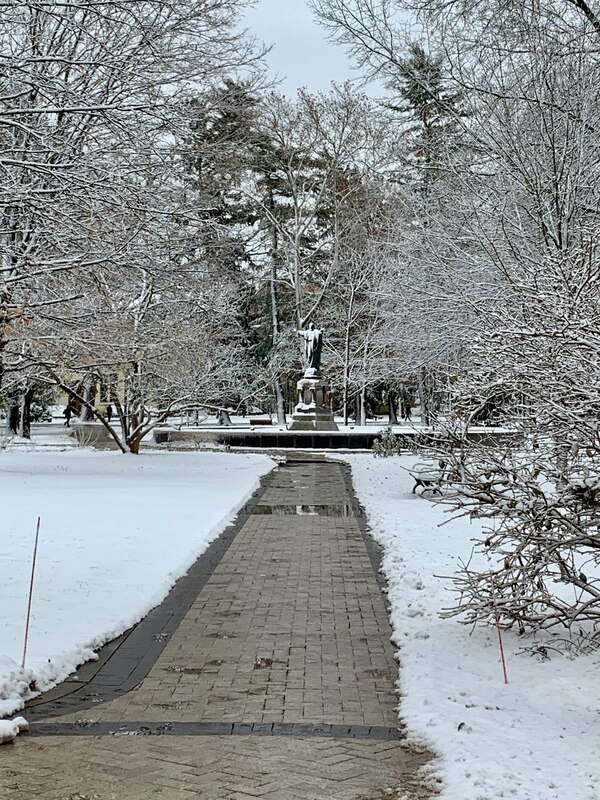 It's the perfect snow for coating everything in white, and so, campus now looks like the interior of a giant snow globe. Enjoy your Sunday wherever you may be!